You have to delight your audience before they make any decision whether to stay and watch your video or whether they leave and save their time. Always remember that your first impression is your last impression. So you have to make an effective impact on your audience. This will lead your audience getting more and more information about your product. Explainer animator videos are one of the best starts for your product introduction and description. Short and seductive enough to seize the attention of your targeted potential audience. When it comes about the online content, video content is the first most prioritized content by the audience. That’s why marketers prefer video content more than textual content. It is proven that 80% of the audience watch video content as compared to the blog posts. People often share with others whenever they find something which is worth to share. It is seen in recent reports that 1,200% of the videos are being shared more than texts. By creating inspiring marketing videos, the audience is going to watch, and they will surely share them on their social media accounts and with their friends and family as well. In simple words, your audience is going to be your marketers. Explainer videos have the tendency to make a lasting effect on the audience mind and consciousness. As the chances of remembering your product increase, the chances of your success will also increase as well. It’s not about the video it’s about our mind which processes 50,000 faster on graphical representation more than the textual description. It’s not a new thing that marketers consider video content as the accelerator for their product marketing more than any other marketing means. Marketers want to employ videos for their business marketing campaigns, and it attracts 40% more traffic which is coming from the search engines more than those businesses who are not using videos to boost up their platforms. The video content has the capability to go straight to the heart of the people. If you are able to create an attractive and inspiring animated video which holds a powerful message which touches the center of the viewers let me tell you that, you are going in the right direction to get the success of your dreams. Don’t try to underestimate the power of emails. You can use it as a weapon in your marketing strategies. You can quickly implement video marketing in email marketing. Wouldn’t it be great when your audience is greeted by an email which has an interesting attached to it, holding up the all relevant information about the services and features of your product? Absolutely yes! People love such kind of gestures which mesmerize them and which also make your product more understanding. This will help you to attract more and more of the targeted audience for your product as your audience will love to reconnect with your product in the future. Not only will this but they also like to share your product details with other as well their family and friends. From this place, the word of mouth marketing will take place which will add up an extra benefit in your marketing strategy. 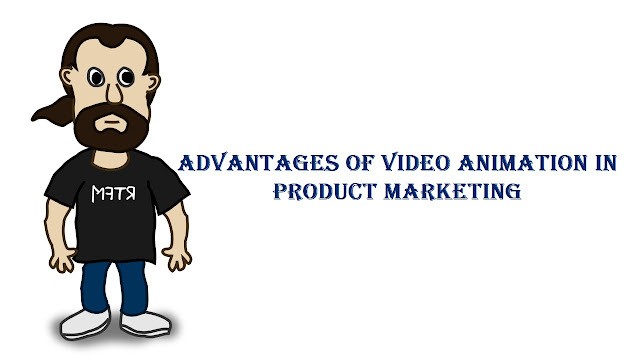 These are the advantages of video animation in the marketing your product. Try them and improve your marketing performance. This will surely help you to accelerate your business venture.